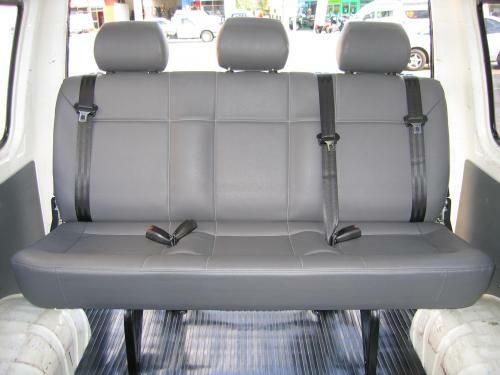 All AVM Seating comes standard with over the shoulder retractable seat belts where possible and Certification of the vehicle. Certification varies on conversion fitted. 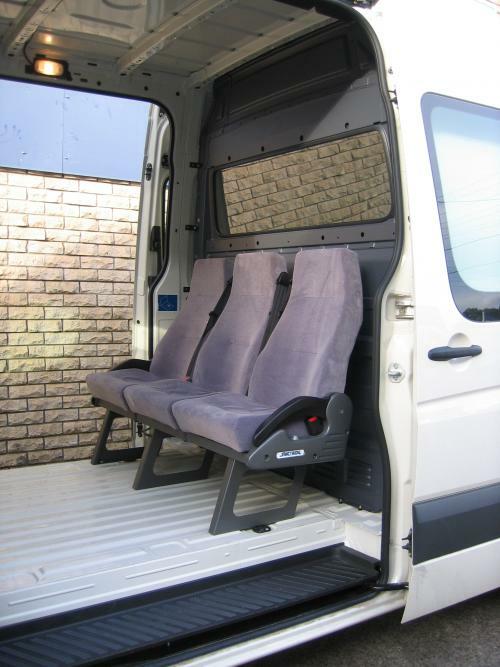 Economically priced this seat is fitted with a quick release function to easily remove the seat and give you back that extra cargo area in your van. 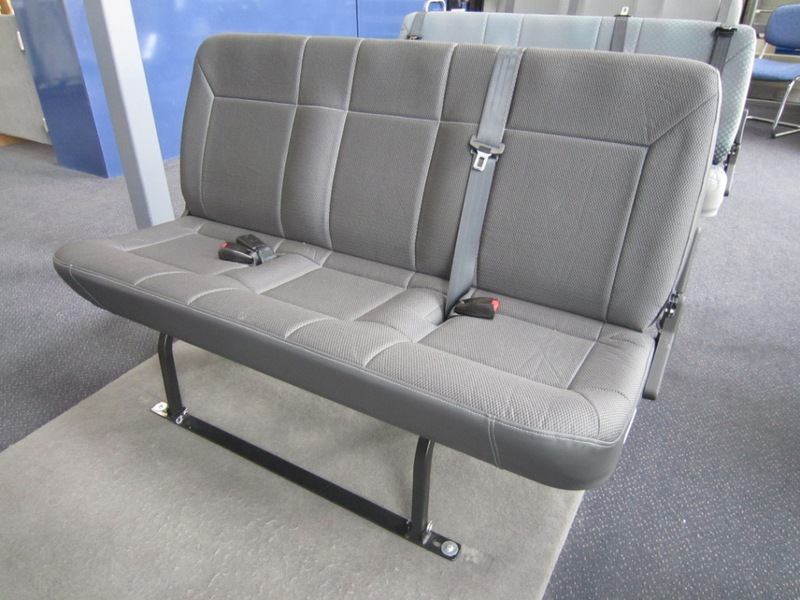 The seat comes with 2 over the shoulder retracting belts which need to be mounted to the side pillars and has a lap belt in the centre position. • Available in 1, 2 or 3 seats. • Quick release seat removal. • Seat belts mount to the seat base and pillars. • Headrest and Armrests are optional extras. 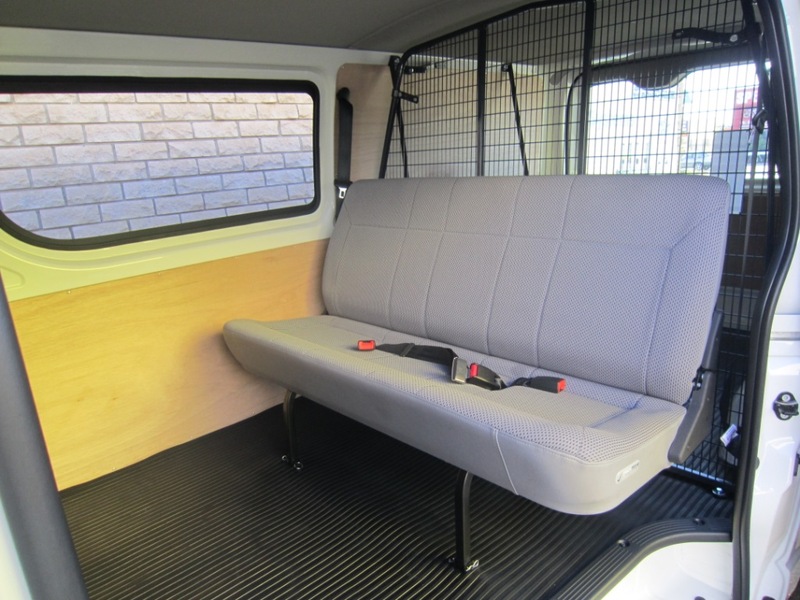 When you want the extra seating in your van to have that original equipment look, this seat offers a colour trim match (where available), individually molded seating positions, quick release function to easily remove the seat and a standard centre position inertia reel seat belt and 2 over the shoulder retracting belts which need to be mounted to the side pillars for the safest option. • Individually molded seat positions. • Armrest mounting brackets standard. • Headrests and armrests are optionally available. AVM’s top of the range original equipment look seat, offering a colour trim match (where available), individually molded seating positions, quick release function to easily remove the seat and standard fitment of inertia reel seat belts in all positions. With headrest and armrest fitted as standard. • Seat belts mount to the seat. Single, Double, Three, Four and Five Seaters. • Inertia reel seat belts in all seating positions. • Quick release seat cushions to allow access for cleaning. • Child restraint anchor points standard for every position. • Child friendly sash guide positioning. • Trimmed in quality heavy duty fabric. • Other options available, seat back pockets, armrests, headrest protector. • Quick release removable function available. Retro Seating third row aftermarket car seats increases the occupant capacity of a wide range of popular SUV and Wagon models. 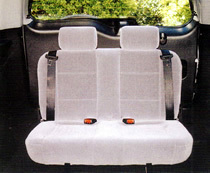 Unlike Van Seating these car seat conversions have been designed to fit with particular makes and models, so they look as though they were always meant to be there. Each seat comes with a vehicle specific mounting system and a trim match to the original interior and can be stowed, side folded or easily removed to allow you to retain boot and cargo space. Please call our office for the full range and prices.